Provide comfort for the family of Lois J. Sexton with a meaningful gesture of sympathy. LOIS J. SEXTON, 72 of Darlington, MD, passed away on Tuesday, January 22, 2019 in Harford Memorial Hospital in Havre de Grace, MD. Married on October 3, 2012, she was the beloved wife of Richard A. Sexton for 6 years and had shared 43 years of marriage with Joseph W. Eller when he died on May 18, 2010. Born on July 5, 1946 in Greenbrier County, WV, she was a daughter of the late Carr Henry and Frankie Elizabeth (Collins) Beavers. Lois and her family traveled back and forth from Harford County to West Virginia where her father would work in agriculture and the coal mines. She graduated from North Harford High School in 1964 and was employed for 30 years as a customer service representative for the former C&P Telephone Company that was acquired by Verizon. Strong in her Christian faith, she had attended Trinity Free Will Baptist Church in Darlington and Cornerstone Missionary Baptist Church. Lois loved the simple things in life: mowing the grass, playing games where her family remarked she loved to be the winner. Family time was important, caring for others a priority, generous and kind hearted. In retirement, Lois and Richard loved to travel visiting many states. Two memorable trips were to the Grand Canyon where she went out onto the glass flooring and touching the Redwood trees in California. Eight siblings-Henrietta Stoneburner, Ida Workman, Jesse Beavers, Shirley Sopko, Connie Beavers, Linda Wiley, Michael Beavers and Rita Coldiron. Benjamin, Nathan and Adam Politowicz of West Orange, NJ. She was preceded in death by a brother, Clyde Beavers. 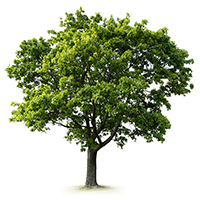 To plant a memorial tree in honor of Lois J. Sexton, please visit our Heartfelt Sympathies Store. We encourage you to share your most beloved memories of Lois J. here, so that the family and other loved ones can always see it. You can upload cherished photographs, or share your favorite stories, and can even comment on those shared by others. Plant a Tree in Memory of Lois J.
I will miss you! You always had a smile that would light the room where ever you were, and a laugh that made everyone happy to be around you. You were always there for me when I needed you...I will never forget you, Love you! We love and miss you Maw-Maw. We are deeply sorry for your loss. Your family will be in our thoughts and prayers.